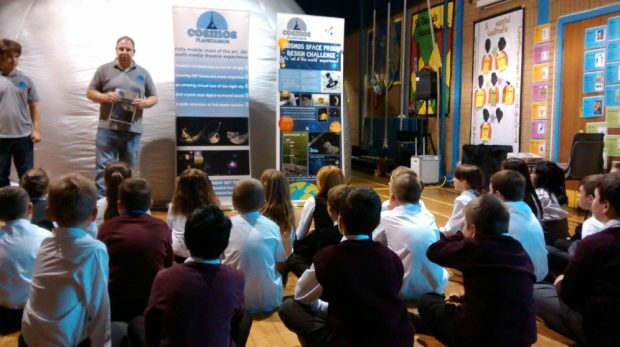 As a mobile planetarium and science communication business, Cosmos Planetarium, we were looking for a unique and exciting way to engage hard to reach children. We wanted to give them the confidence to explore STEM subjects further and to realise there are some fantastic careers in science. As a small company (two people) we had plenty of good ideas but time and other commitments meant it was really difficult to put together new and original workshops and content. That all changed when we had the chance to apply to the UK Space Agency’s ‘Space for All’ grant scheme and were successful in getting some funding. The funding has meant we have been able to allocate the time and resources needed to put together our design challenge. 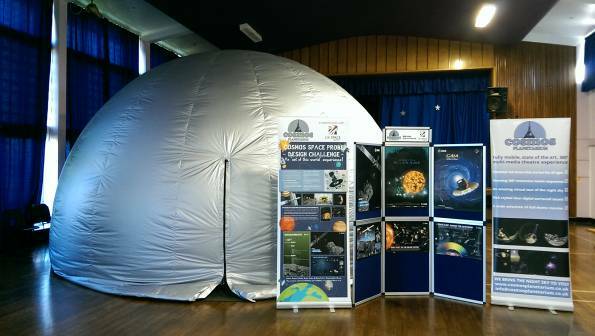 Using a combination of time inside our mobile planetarium and fun hands-on classroom activities, we are looking to engage and inspire primary school pupils in a totally unique way. We aim to raise awareness of the UK space industry, in particular the UK’s involvement in the Gaia & Rosetta missions and British astronaut Tim Peake’s involvement in the ESA astronaut program. We decided to include a competition element to add an extra dimension and encourage pupils to develop their own missions. This will ensure further engagement from the pupils after the main visit to the school is over. Looking at the contacts I had from previous work, I decided to collaborate with two science festivals that were in different locations, one rural and one inner city. Schools in both areas that the science festivals cover have high socio-economic deprivation although they have different outlooks and challenges due to their locations. Both areas have a low proportion of children who would look to take STEM subjects during high school or in further education. The Space for All 2016 funding round is now open for applications. We’re looking for fun and inspiring projects to engage people across the UK in the story of space! The application deadline is 09 November 2016. For more information and to download application forms head to the funding page of our website.